Michael : Good afternoon, Richard. Firstly, let me say that I’m really delighted that you’re taking part in this podcast about leadership. If I could ask you to kick off, could you introduce yourself and let your listeners know a little something about you. Richard : Absolutely. 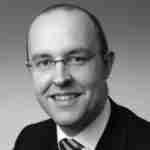 I’m Richard Sanders, and my work role is as Group Strategy Director at the John Lewis Partnership. I’ve got a daughter and I’ve got another coming along in a few weeks – so hopefully the phone doesn’t go during this interview. I?ve been a Business and Change Consultant for pretty much the last ten years, but I actually started out as a factory manager. Michael : So in the context that you’re going to talk about, tell us about the situation that you’re leading in. Richard : It’s actually a little different than you might imagine a straight forward leader to be acting in – but the situation is, throughout the entirety of my career I?ve been leading as a key influencer, as opposed to somebody that has authority and direct control over the projects or resources, that they were trying to influence. So it’s very much a relevance-consultant kind of leadership. Getting the most out of people that you’re working with, rather than help those who are working for you. Michael : What are some of the issues that you face doing that leadership role? In the case that you’re influencing people to perhaps do things outside of their day job, largely for the sake of good will – obviously the situation is very different. Michael : Within that context, what do you actually see as your job as being a leader? And actually, I’ll ask you the second bit of that question too – What would you see as some of the indicators that you’re doing a good job? The first, for me, is picking the right team, and a sign of that, an indication of a good team?s abilities, is that people are actually happy doing the work that you’ve set for them. They’re able to do the work, they’ve got enough time, and the work follows on from that. So that’s an absolutely important part of being a leader – having a good team. The second part that goes along with that, which is equally important I guess, is actually around good alignment. I think people take leadership in a number of ways. You have to make sure that the goals that you set are good, congruent goals that everybody understands in the same way, and therefore you get good alignment. A good test there is, if you set a challenge, or an issue comes up, and people react in a way that is congruent, that is a good indicator that you’ve got good alignment. And the final one actually, is just about energy. So if you’ve got the good people, and a good alignment – the other part I think is motivation and energy, and getting a good sense of how far people might be able to stretch themselves, in a way that’s just motivating – but at the same time it?s not controlling, it?s freeing them, giving them the spirit to do the right things, to all your mutual benefit. Michael : Moving on from that, where do you spend most of your time as a leader? Is it in the office, is it out there talking to stake-holders? Where do you actually spend most of your time? Richard : It?s in meeting rooms, but often the meeting rooms of stake-holders, or other areas of the team. Another key area where leadership happens, is when you’re thinking through your materials, thinking through your project plans – So actually in front of a screen, in front of an email, it?s actually that form of communication as well – but first and foremost in meetings. Michael : Now moving on from environment – What do you think are some of the key behaviours, particularly in regards to getting buy-in and motivation. Richard : I might go into specific contexts in this one. One of the hardest areas to get behaviour is around organisational change – A very sensitive area, and that’s where you might test yourself and think, “What are your behaviours?”, and there I might acutely catch myself listening a little more closely, more focused, in order to pick up the nuances and influences of each of the key stake-holders that you’ve got to then influence. So it?s a really heightened sense of observation, taking everything in, stepping back from meetings having asked the open-ended questions. And that’s a key behaviour if you’re then going to act in such a way as to influence, in an appropriate way, those key individuals, as opposed to a bland, a one-size-fits-all way of influencing. Michael :What skills do you have that you think enables you to do this well? Richard : Something about observation. It?s a skill, it?s also a motivation – it’s an interest in people that leads to that – an observation ability. But something that comes closely after is a capability to sort through those various issues that come back and prioritise – it’s an ability to work out what you’re seeing and hearing about a problem, the most important aspects of the situation, of the problem, of whatever you’re dealing with. Michael : So it?s more than the listening, it?s the picking out of important parts of that and deciding what to do next. Richard : Absolutely. And being ruthless with yourself, because you’ll often hear, especially in those sort of organisational-change situations, fifteen to twenty issues from just one person. You’ve got to pick out the two or three things that would unlock that situation, either with a decision, or in finding a better way to get you working, and focus on those – because if you focus on any more you lose impact and you don’t tend to get there. So prioritization is really important. Michael : Now, do you think that these are skills that you are born with, or that you got through your education, or you got through your work life, or something happened to enable you to improve them? Richard : I was born with the interest in them. The interest in people I?ve always had, and I think the interest of coming up with a plan, that was simple – I think to an extent has always been there. So I think that I?ve learnt an awful lot about the importance of prioritisation and how to go about observation, and I think that’s something that anyone can pick up. Michael : What beliefs do you have about yourself as a leader? Richard : I think you’ve got to believe that regardless of the situation, and regardless of the people around you, the stake-holders and so on – actually you can make a difference. And therefore at the heart of what you’re trying to observe, and at the heart of the team that you’re trying to influence, you will do something that is of use, therefore it?s worth persevering and putting the energy in. So I think that’s the important part, really backing yourself to make a difference. Michael : And what about the people that you’re leading – particularly in the context of organisational change, where some people may be pro, some people may be less so ? What?s your approach to the people that you’re leading? Richard : It’s funny when you break the situation down like this. I definitely believe that the views of everyone in those situations are worth understanding. So even with people who appear to be a dyed-in-the-wool enthusiast for the perhaps prehistoric way of doing things will have something to impart to you with either the relevance of the future or will help you with the change. So I think that you have to believe first of all that there’s something of value there in order to, again, spur yourself on and spend time on developing that. Working out value, you have to start with the belief that there is something in that. Michael : Do you have an identity, or a mission? Who would you say Richard was when you’re a leader? Richard : I think its as someone who is more of a coach – someone who is inclined to help people to see the solution for themselves. And that links a number of things that you’ve talked about doesn’t it? It links that people have something that they contribute, so they have part of the answer themselves – that really what you’re doing is facilitating and bringing together all of those aspects of the solution together into one whole, and the only way that you’d do that is by involving everyone in a thorough and fully-involved sense. So that’s a coach or facilitator, rather than somebody that has that solution and imposes it on other people. Michael : Not necessarily in your particular situation, but as a generalisation – if you had to choose a leader in the same context that you’re talking about, how would you know who to choose? Richard : Actually I think it would be fairly straight forward if I was going to look for someone who would do things in the same kind of way. You’d know that individual by the fact, that if you interviewed them or talked to them they were – first of all, able to gather information from you, being non prescriptive in their questioning of you, perhaps about the role and so on – you’d actually be able to pick out the act that they were interested, and that they were looking for more than just the surface answers to some of your questions. I think you would see that quite quickly. What you’d like to see in practice would be their ability to then do that with a wide variety of people at different levels of seniority and different backgrounds. And I think that might be harder to test – but I think you might be able to see that at work at different meetings, and at interviews you’ll quickly be able to recognise them. Michael : Now, this may sound a strange question, but I’m always really fascinated by the answer I get back from people – If you were to describe leadership as a metaphor or a story, with cartoon characters or animals, or anything of that ilk – how would you describe the relationship of a leader and the people they are leading? Richard : Well, without being drawn into the Dilbert equivalent, which is the bad boss, the evil boss, which would be the obvious one. It is one way, but I don’t feel it?s the correct way of leadership. And I think on cartoon characters, on fairy tale characters – it’s interesting isn’t it? There are actually lots of stories out there for leadership, and certainly for people finding their own direction. I think leadership has quite a lot embedded into the fairy tale and myths. I’m a great believer in story-telling and so on. But it?s more the parental side of things. I don’t know if that’s Geppetto with Pinocchio and there are several equivalents to that. There’s the fairy godmother, or there’s the person who comes along and helps you – helps the individual, the key characters in the story, to get to their desired outcomes. But it?s not necessarily the key or central figure in the story. Michael : Excellent. Now you’ve been good enough to talk to us for almost fifteen minutes about your leadership style and your view on leadership – is there anything that you’re doing that you’d like to plug, or you want people to know about? Richard : That’s a very fair question. Well, I represent the John Lewis Partnership, and something I would say about the John Lewis Partnership, which is Waitrose and John Lewis, is that some of these issues about leadership, and slightly paternal leadership, are actually embedded in the culture of the business. And hopefully people out there will listen to this and realise that quite a few of these leadership ideas are actually a part of good service, in some cases. In that case it probably is an example of people having direct control over what’s going on and so on, but I think that the model does stretch to that – you see people, who are being leaders, actually following up and doing what they can for you as opposed to actually letting other people do that. Michael : I like that. Can you give people your contact details in case anybody wants to contact you? And I welcome any ideas that people have. Michael : Thank you very much indeed for that. Read about Global Leadership Assessment on our Executive Coaching Global Website.